It has been a while since I last posted! Changed schools, grade level, new program, getting ready for common core standards, etc. etc. 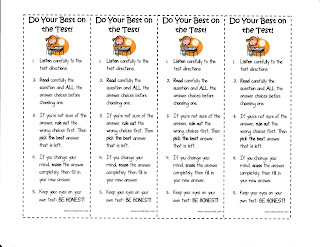 This has been a challenging school year, and I can't believe that's almost over...My students will be taking their state standardized tests this week, so to motivate them I created this bookmarks. I thought I share it with you. So glad to be back!